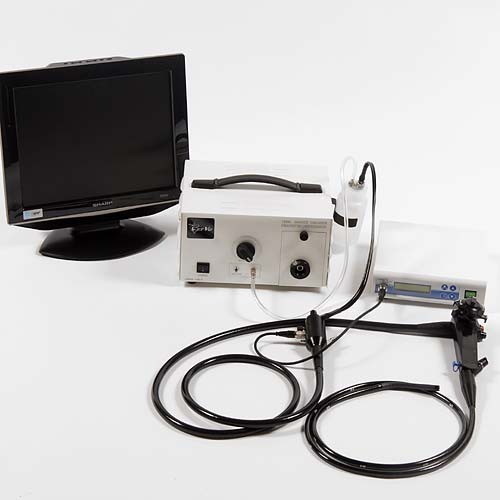 The Video Vetscope is the choice for field video endoscopy of intermediate-sized animals. The scope is made to interface with your laptop computer, and record images to your hard drive with the click of the mouse (which, based on feedback from vets, has proven easy to use, and the resultant stored data, valuable in keeping clients' informed of patients' status). To purchase, contact VetVu directly or call Butler Schein at 888-691-2724 today. See related instruments, brushes and adapters.